View More In Brake Line Tools. Features. Developed From OE Samples Validated To Meet TS16949 Quality System Standards.. Meet SAE Standard For Tensile Strength - OE-Matched G3000 Qualified Material For Structural Integrity And Maximum Service Life.. Industry Leading Coverage - 99.8 Percent Coverage For Import And Domestic Cars Light Trucks And SUVs.. Tight Lateral Run Out - 0.004 Inch Or Less For Less Pedal Pulsation And Brake Noise Extended Pad Life.. Minimal Thickness Variation - Thickness Variation Less Than 0.0005 in. Less Pedal Pulsation And Brake Noise.. Mill Balanced Edges - 100 Percent Validation Ensures Proper Balance Minimizes Vibration.. Non-Directional Ground Finish - Ready To Install Right Out Of The Box.. Design Plain Face.. Disc Type 2 Piece.. Finish Powder Coated.. Material Gray Cast Iron.. Outer Diameter - 11.1 in.. 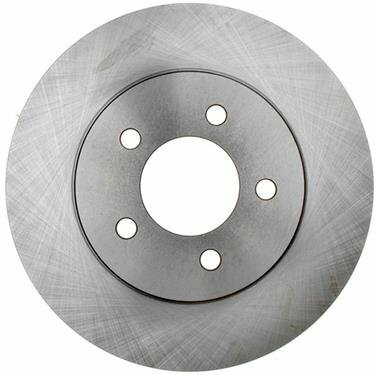 Height - 1-12Inch.. Nominal Thickness - 0.945 in.. Wheel Bolt Circle - 5 X 4.5 in.. Fits For Various Makes Models. Developed From OE Samples, Validated To Meet TS16949 Quality System Standards.